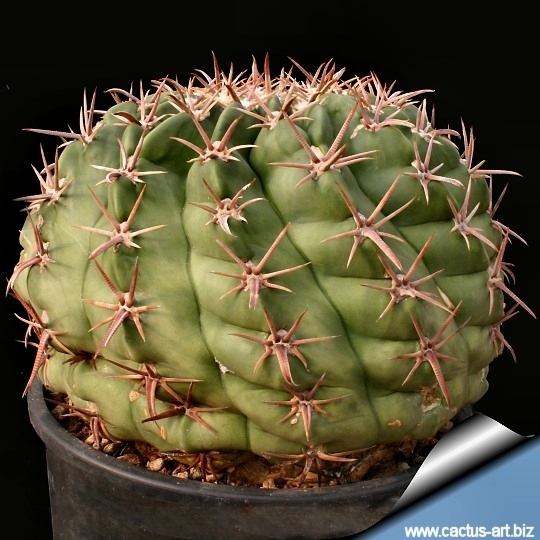 H. texensis is, of course, named for the State of Texas where it is widely distributed and deserves to be more popular in cultivation. It is a round-shaped barrel with numerous flat ribs that grows very low to the ground with short but very thick pink o grey spines that can live for decades. Description: It is a stout barrel cactus, which is solitary when young, very rarely slowly clustering in age. 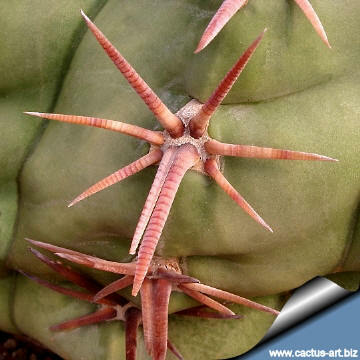 Spines: Small but strong pale tan, pink, reddish to grey, terete to flattened, annulated, not hiding stem surfaces. Central spine: 1 porrect and straight. Flowers: 5-6 × 5-6 cm. 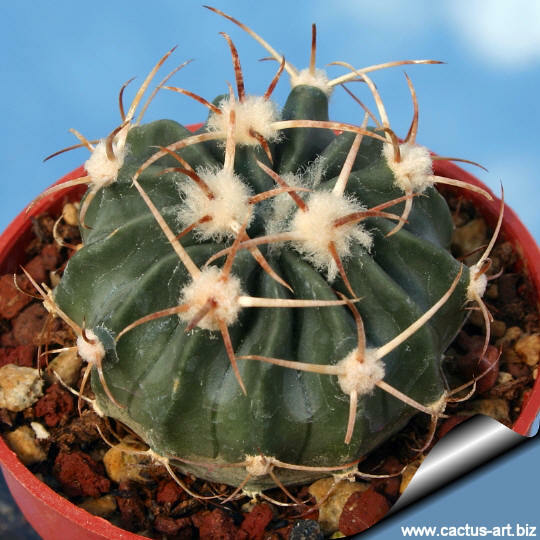 Flowers range from white thru rose-pink to pale silvery-pink, with red throats in late spring and can appear on plants around 10cm in diameter. Note: Desert populations of H. texensis, unlike the eastern plants, have longer central spines that project stiffly outward. Published in: Hopffer, Allg. Gartenzeitung. 10: 297. 1842. Habitat and ecology: Chihuahuan Desert, grasslands, openings in oak woodlands, Tamaulipan thorn scrub, on deep soils, saline flats, low limestone hills or limy gravel above Permian red dirt. 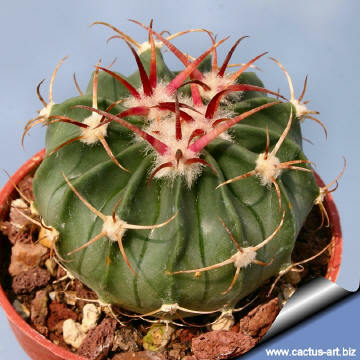 0-1400 m; It is a very hardy cactus that grows hidden in the grass. 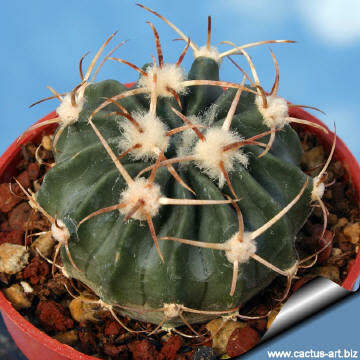 A dense cover of ephemeral herbs or shallow blanket of snow can hide this species completely from view. 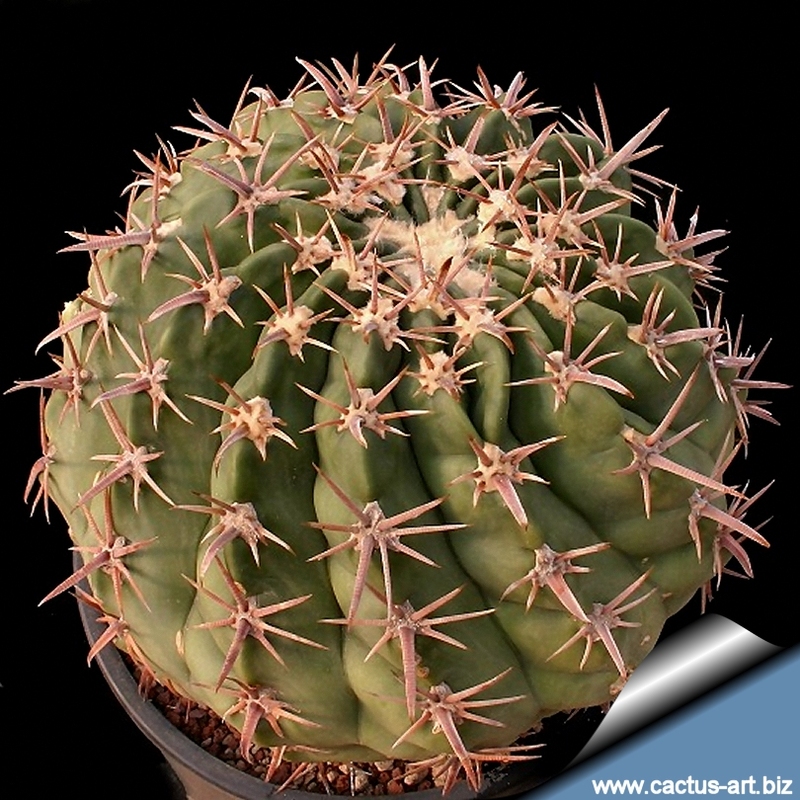 Cultivation: H. texesis will do its best with lots of sun, it becomes stressed with inadequate light which could result in weak spines, poor health or even death. It does well with cool winter time temperatures and will tolerate temperatures down below -18°C or less if the roots are kept dry. This variety stores water in the parts of the plant which are above the soil leaving the root system small enough to fit into a proportionally sized flower pot. Needs well drained soil. It flowers easily, but results will depend on a variety of growing conditions.